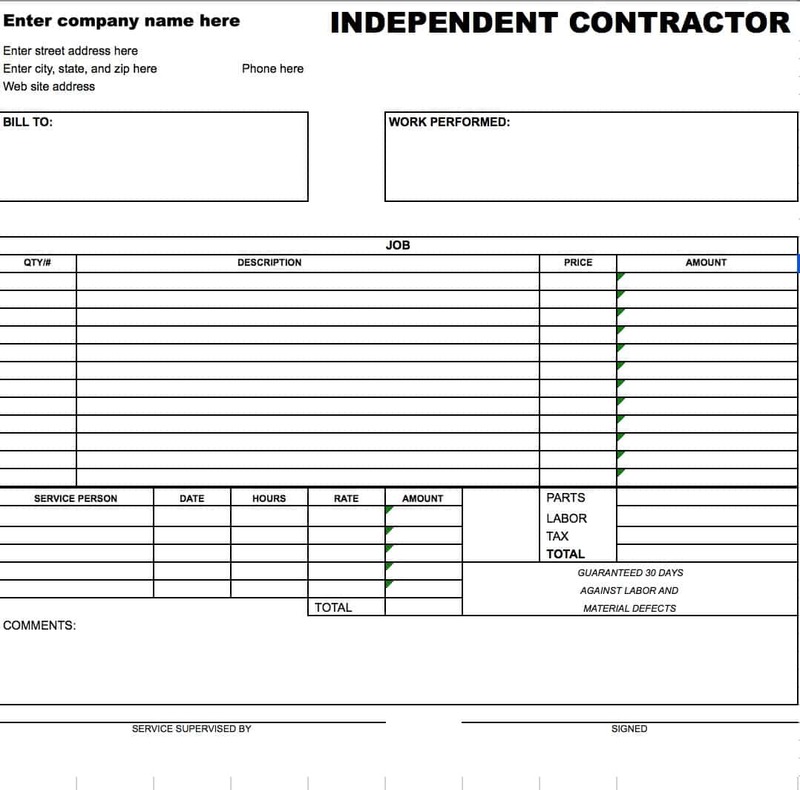 Download the independent contractor invoice template to formally request payment for most any type of independent contracting work. This includes freelance home repair, graphic design, writing, and much more. Be sure to accurately describe the work you performed and the charges being applied. IRS 1099-MISC Form – Filed by an independent contractor at the end of the year if they accumulate at least $10 in royalties or $600 in any other type of proceeds.